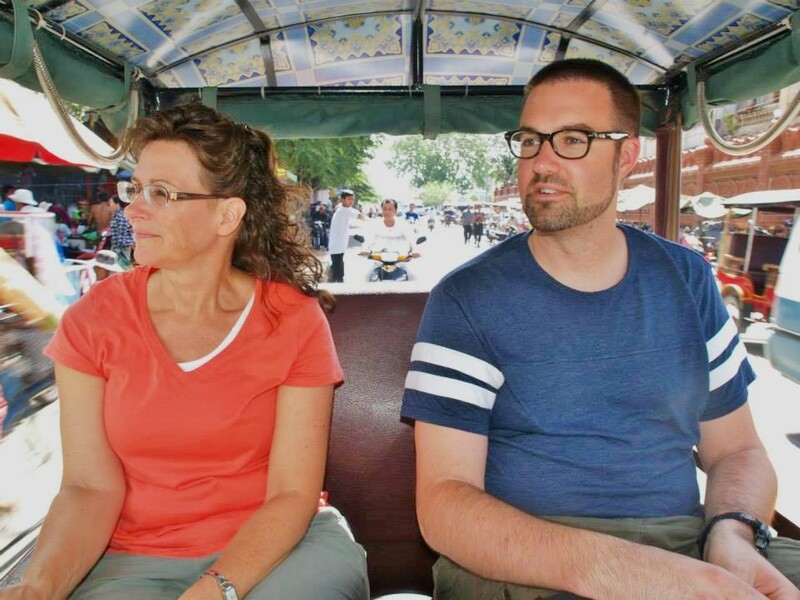 This is a unique short term trip…our schedule is extremely busy, and we are traveling many kilometers (yes, kilometers) from city to city, country to country and village to village, exploring potential partnerships for Grace Church. The most we have stayed/will stay in one location is 2 nights! I’ve been on and led many short term trips in the last 12 years and know enough to know that this is not a trip for the faint of heart (nor people with sore feet)! Why? Because we are exploring many different ministries in many places, and praying for God’s clear direction for future partnerships. Partnerships. An interesting concept. One that you will be hearing a lot about in the future at Grace Church. You see, we could simply send money to random people and places and call that our missions investment. But we are of the persuasion that we can have a much more significant Kingdom impact by working TOGETHER with others. We are looking for passionate, gifted and called people who are already doing amazing things for God. And we want to partner with them, as God leads. Partnerships start with relationships. Do you know that your new Pastor has relationships with people all over the world? 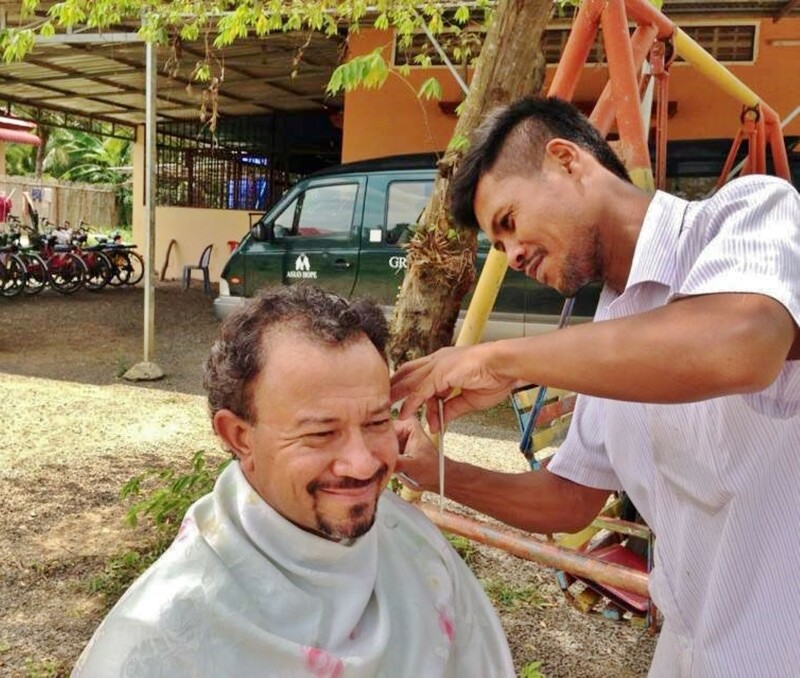 He has a friend in every city and town: pastors, tuk tuk drivers, restaurant owners, hotel staff, even a favorite barber. And not just acquaintances, but deep and meaningful friendships. Perhaps this doesn’t surprise you. If you have spent any time talking to Ivanildo, you know that he loves you upon meeting you and is deeply concerned about your life. And if you have ever been in public with him, you have seen him meeting nearly every person he comes in contact with. This kindness quickly leads to a conversation, a sharing of life stories, and in some cases, an alignment of purposes. Common theology, common philosophy and common mission…and suddenly, a potential partnership is born. Perhaps the partnership is simply a friendship; an exchange of ideas and stories; keeping in touch; or stopping by when you’re in town. And other times partnerships are deeper than that; an investment of time, energy, human resources, and money. Whatever level of relationship, we should always partner through prayer. Make sure you catch this. God has opened many of these doorways of opportunity for us – all over Cambodia and Thailand – because Pastor Ivanildo was willing to open his mouth. At some point in time, exposure to these amazing ministries started with a relationship. And that relationship started by him conversing with someone. And that conversation started because he went beyond a trite ‘hello, how are you’. And that conversation started happened because of his heart for people – his passionate concern for their exposure to the gospel. I can’t help but think what opportunities I have missed in life because I didn’t take the time to invest in a conversation… relationship… partnership with someone. God has given each of us the same mission. Our contexts may be different, but our calling is the same. And each of our callings, whether we are teachers, businessmen, at home moms, nurses, farmers or fire fighters is about people! Who might God be calling you to today? What partnerships might He have in mind for you? Don’t miss it! Thanks for the prayers, Mona. We have felt them. And for encouraging our families while we are gone. doug: i am very humbled to finally read your post word for word. i am overwhelmed at the thought that God would choose me to forge partnerships for His kingdom. let’s keep praying that we will not be distracted, disrupted or discouraged by the attempts of the evil one to keep us off course. thanks for your kind words! Amen and Amen!! I love you both to pieces! God is our Master and the other one is just crafty. I think you are both wise enough to listen to the correct voice. Praying for you even more as there are so many great things happening which since I am old I know that means more “attacks” or attempts to attack anyway. you are absolutely right, Mona. Except one thing: attacks, not simply attempts to attack. i appreciate your prayers!